This small piece of Avocado wood was chosen for its interesting grain structure and shape. Some of the inside of the wood was burned for further emphasis. 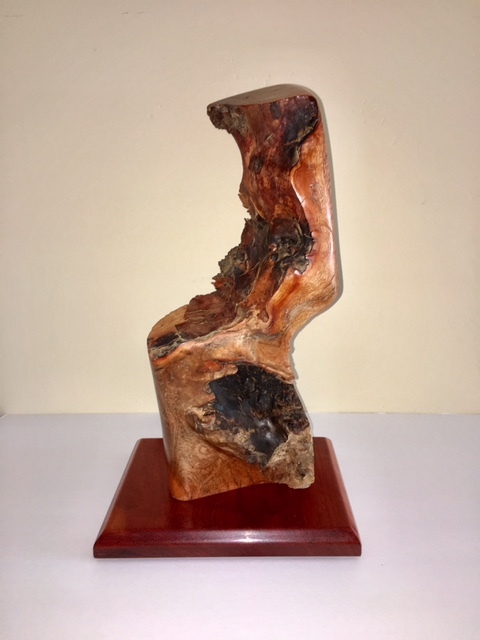 Contrast is also noticed in the piece, with portions highly sanded an smooth, versus the rough parts of the wood on the inside.